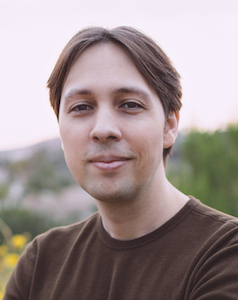 David J. Peterson is a language creator and author. He has worked as a language creator on numerous television shows and films, including HBO’s Game of Thrones, Syfy’s Defiance, MTV’s Shannara Chronicles, the CW’s The 100, NBC’s Emerald City, Showtime’s Penny Dreadful, and Marvel’s Thor: The Dark World. In 2014 he published Living Language Dothraki, the best-selling guide to the Dothraki language from HBO’s Game of Thrones. In the fall of 2015 David published his nonfiction work The Art of Language Invention with Penguin Books. David has a background in academic linguistics, having earned a bachelor’s degree in English and Linguistics from UC Berkeley in 2003, and a master’s degree in Linguistics from UC San Diego in 2005 (recipient of the 2016 Emerging Leader Award). He’s also been creating languages since 2000. He served as a cofounder and original board member of the Language Creation Society, and served as its president from 2011 to 2014. David lives with his wife and fellow linguistics BA/MA Erin, and his daughter Meridian, in Orange County, California.